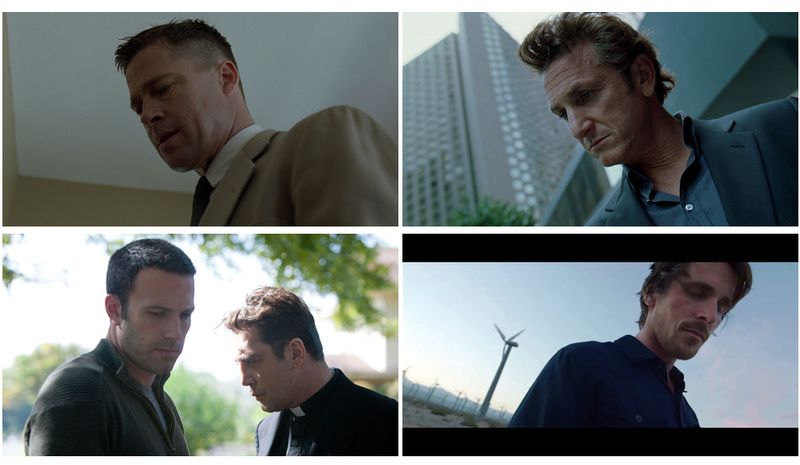 The Establishing Shot: Art of the Trailer: The first 5 frames from Terrence Malick's spellbinding trailer for Knight of Cups that have me waiting for the film - WATCH THIS! Art of the Trailer: The first 5 frames from Terrence Malick's spellbinding trailer for Knight of Cups that have me waiting for the film - WATCH THIS! It has to be said that I have sadly seen too few trailers of late that differentiate themselves, elevate the game or mean anything. That doesn't necessarily mean that there aren't many good films on the way just that - I haven't seen many exciting trailers. But late last year I was bowled over by the trailer for Terrence Malick's Knight of Cups in fact the first five shots from the trailer had me absolutely stunned as his use of sound and visuals enthralled me. First a little context as to how we got here may be in order Knight of Cups is the third in Malick's epical (in the true sense of the word) allegorical exploration - of modern man in the throes of existential angst as he comes to terms to modern life and moves down a path further from nature or Supernature and himself. We have had Jessica Chastain, Brad Pitt and Sean Penn in The Tree of Life (2011) symbolically bridging the generational gap (from The Thin Red Line 1998) and heralding Malick's move into the modern era. Ben Affleck, Olga Kurylenko, Rachel McAdams and Javier Bardem in To the Wonder (2012), Cate Blanchett, Natalie Portman and Christian Bale in Knight of Cups set for release this year followed up by his currently untitled project Ryan Gosling, Michael Fassbender and Natalie Portman Texas Music film. A screenwriter living in LA tries to make sense of the strange events occurring around him. The former farmer turned M.I.T. philosophy professor, started in film as a writer for hire working on films like Don Siegel's Dirty Harry (rumour has it Malick's ideas became the plot for the sequel Magnum Force) and Jack Nicholson's Drive, He Said before writing the screenplays for the Paul Newman, Lee Marvin starrer Pocket Money and the Robert Duvall, Donald Sutherland - Lady Ice around this point Malick decided that he would only work on projects he felt he could bring something to. 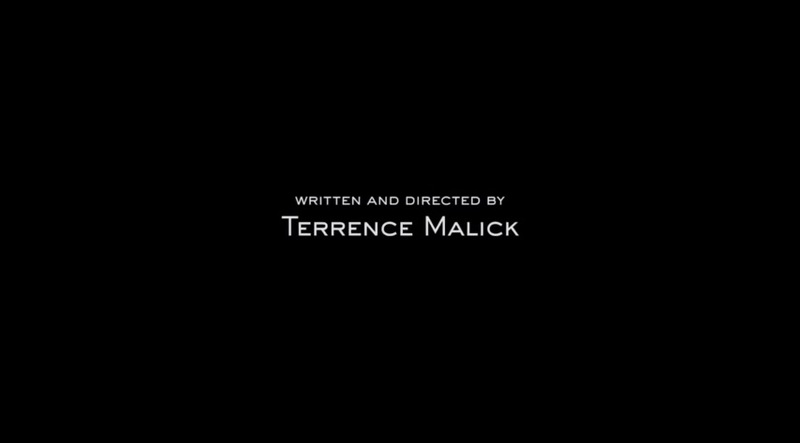 Which led to Malick independently making his seminal feature Badlands in 1973 starring Sissy Spacek and Martin Sheen. I am acutely aware that Malick has worked on 4 films in the last 5 years (not including his upcoming IMAX documentary - Voyage of Time), for a man that averaged a film every 5 years with a 20 year gap between his second film Days of Heaven and The Thin Red Line, whilst Malick was seemingly went missing, more likely wandering, living and writing. There were even reports that he might be dead, depressed, or just holed up in some back corner of the world. - Excerpt from Malick: The Prodigal Returns by David Thomson for The Independent in 1999. The point here being I suspect that this prolific run may end at any time and Malick may disappear to ponder his next film, so sooner rather than later would be an appropriate time for me to explore the poetic genius of Terrence Malick or least try take a look at the the first five attention grabbing shots from the trailer of Knight of Cups and let my stream of consciousness freestyle as it scrapes the surface of Malicks works. Terrence Malick's films always have my curiosity, but after the first five shots, Knight of Cups has my attention. To accompany your reading of this post I have embedded a playlist of tracks inspired by Terrence Malick's the Knight of Cups soundtrack. 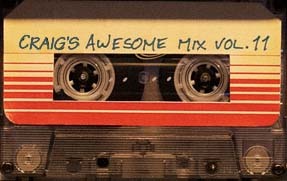 It is comprised of some of the tracks from the Extended Soundtrack of Knight of Cups, available alternate versions of some of the tracks as well as periphery music. More information on the Knight of Cups extended soundtrack can be found in the playlists description on YouTube. Let’s start with a simple, reasonable assertion: In his four films, released over a period of thirty-odd years, Terrence Malick has developed a rather consistent and distinctive style (if this were Cahiers du cinéma circa 1955, I would undoubtedly get away with calling the director an auteur, but we can leave that can of worms unopened for now). Those rambling philosophical voiceovers; the placid images of nature, offering quiet contrast to the evil deeds of men; the stunning cinematography, often achieved with natural light; the striking use of music—here is a filmmaker with a clear sensibility and aesthetic who makes narrative films that are neither literary nor theatrical, in the sense of foregrounding dialogue, event, or character, but are instead principally cinematic, movies that suggest narrative, emotion, and idea through image and sound. With the early marketing materials for Knight of Cups Malick may be giving us giving those who seek, some clues as to his inspirations and vision for his film and allowing us to possibly gain some insight into its meaning - and to to the contrary of those who equate Terrence Malick with New Age, we go old school on this one, real old school. It should be noted that the following narrative is my construction as there are multiple interpretations of Malick's work and even more of the source work I reference. Some may say Malick's works are charged with symbolism I would put forward that actually his films are merely beautiful metaphoric vehicles to draw our attention to the unseen - I believe all his works are of the form is content school of thought and imprinted with an intricate system of allegorical elements connected across his works but also bridge the real, celluloid and natural worlds. 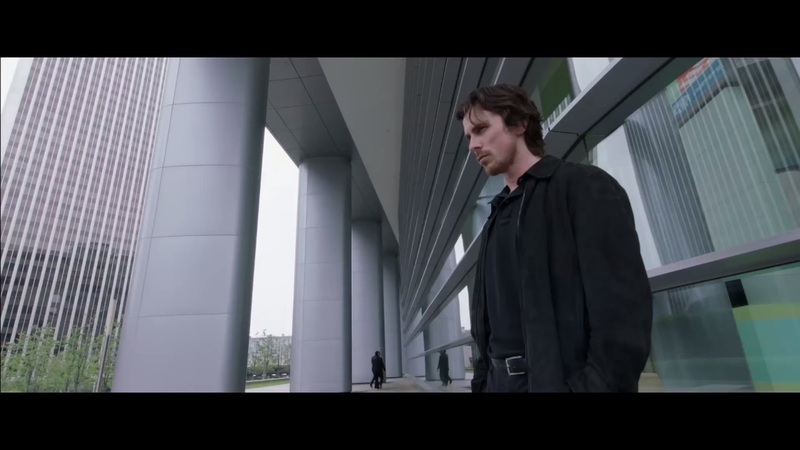 The casting of the Dark Knight in a film called Knight of Cups is no coincidence, sure the inclusion of Christian Bale's talent won't do the bottom line any harm but is Malick saying something about our obsession with fantasy and superheroes? Bale afterall plays Rick a screenwriter - a person that creates the fantasy. The Knight of Cups title refers to a tarot card. Knight being the face card value and Cups the suit. The Hermetic Qabalah Tarot defines The Cups suit as belonging to the Water Element and part of the Briah (Creative World). And the Knight of Cups as The Lord of the Waves and the Waters, The King of the Hosts of the Sea, The King of the Nymphs and Undines. Below is an excerpt from Tarot Decoder Interpret the Symbols of the Tarot and Increase Your Understanding of the Cards by Kathleen McCormack which gives some background on Tarot and a comprehensive summary of possible interpretations of the Knight of Cups tarot card. The four suits - Swords, Pentacles, Wands, and Cups - were traditionally linked with the ancient astrological symbols of the lion, the bull, the eagle, and the angel (or man), which became the four animals of the Apocalypse in the vision of the Old Testament prophet Ezekiel. Medieval artists equated them with the four cardinal elements - fire, earth, air, and water - and with the four seasons - summer,spring, fall, and winter. These were associated, in turn, with the Hebrew letters IHVH, or Jehovah (seen as the conscious energy from which the universe was created). ...Cups denote water, emotions of love and pleasure, the subconscious, fertility and beauty. The Knight of Cups is of The Water Element, but just like his fellow Knights, is also influenced by Fire. Thus we have a combination of the Elemental Energies of Water and Fire within him. Notice the fish and water pattern on his tunic? The armor worn by the Knight of Cups depicts protection and the wings show the energy that flows freely but is not down to earth. The horse tells of the strength one needs to go through life. The river shows emotions running freely. The presence of the Knight of Cups in a tarot reading in an indication that it is time to consider which side of the coin is played. This can be about aspects of the self or in relation to another person that is hard to understand or fathom. The Knight represented on the Knight of Cups tarot card is the figure of action, and indicates a person who should follow a straight path and not get bogged down in materialism. It shows a dreamer of sensual delights. It can mean a proposition, and invitation or a deep relationship with karmic ties. The Knight of Cups indicates that a stagnant situation will soon change. Knight of Cups Trailer dialogue - Nancy (Cate Blanchett): You are different these days. What's going on with you? The Knight of Cups often depicts a single young man looking for adventure of all kinds. 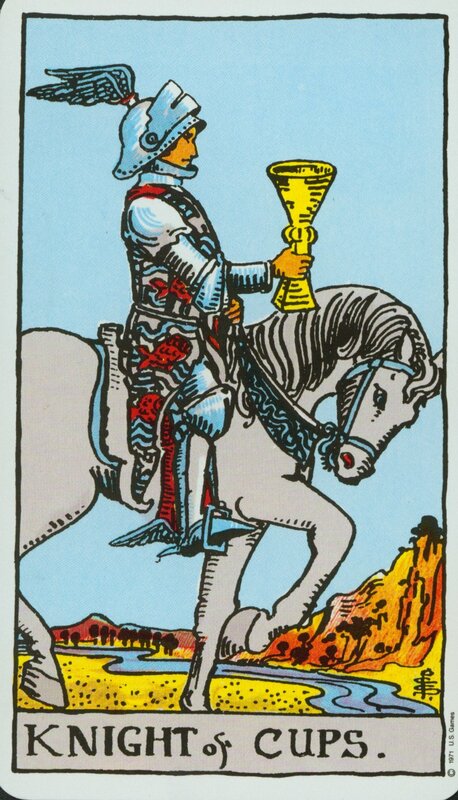 The Knight of Cups indicates youth, transition, struggle and conflict. In a reading, the Knight of Cups may be telling of someone who is looking for direction in life and one who often lives in a fantasy world. This person has materialistic conflict and all of their relationships have karmic ties. Knight of Cups Trailer dialogue - Rick (Christian Bale): I can't remember the man I wanted to be. The Knight of Cups in a reading tells of receiving tempting offers, invitations and propositions. Knight of Cups Trailer dialogue - Herb Hollywood Executive (Michael Wincott): Let me tell you about you. I want to make you rich. In a tarot spread, the Knight of Cups appearing reversed tells of one who has not learned to direct his energies but still lives in fantasyland. Knight of Cups Trailer dialogue -Della (Imogen Poots): You don't want love. You want a love experience. The Knight of Cups appearing in a reading is a call to get to the bottom of things once and for all, and determine what is really go on around you. Knight of Cups - A screenwriter living in LA tries to make sense of the strange events occurring around him. Rick's father used to read this story to him as a boy. The road to the East stretches out before him. Will he set forth? 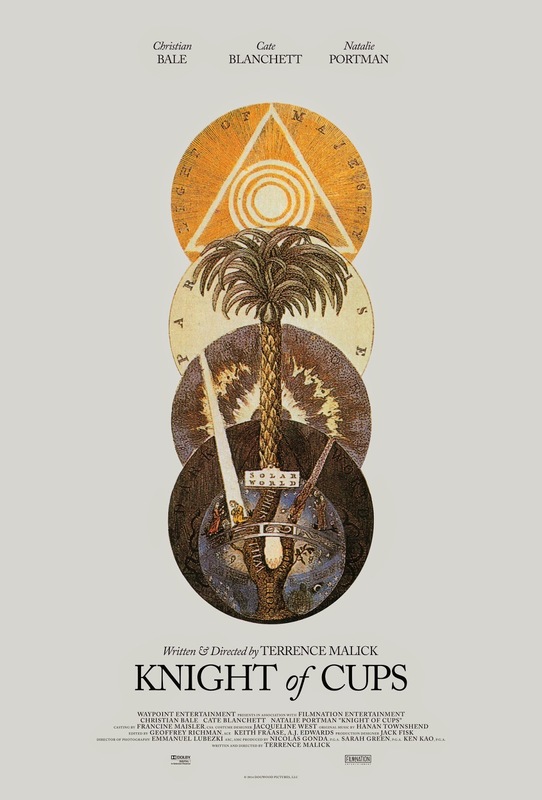 Like a tarot card or rorschach blotter the poster for Knight of Cups is full of meaning attuned to nature, spirituality, astrology, mysticism, occultism, Kabbalah and religion. Featuring what I initially assumed were different planes of existence from the high light (Light Of Majesty) to the dark lower (Dark World) as well as our earthly plane of existence (Solar World) with paths running to either Paradise or Fire World. In the centre a palm tree growing upwards through the planes - which may be referenced in Rick's voice over in the trailer. Rick (Christian Bale): ... you see the palm trees. These days in the Western mind, palm tree symbolism speaks of sunny skies and relaxing vacations. This isn't too far off base, as the palm tree is largely a solar symbol. 'Tis true, sun symbols are predominantly masculine in their energetic tone. However, the palm shares its symbolic gender with succulent female qualities found in the fruit it bears. And so, we see this scenario with symbolic eyes: The erect, towering trunk representing the phallus - male power rising into action - followed by a flowering, expansive fireworks display of long supple leaves nestling an offspring of rich, nutritious fruits. Beautiful symbolism, isn't it? This is a snapshot of how our forbears viewed the palm, and why it is an icon for fertility and unification. In alchemical traditions, the palm tree is a symbol of androgyny as it possesses the perfect integration of both male and female attributes. This is an alchemical achievement - to be wholly, pristinely balanced - equally united with polarity. 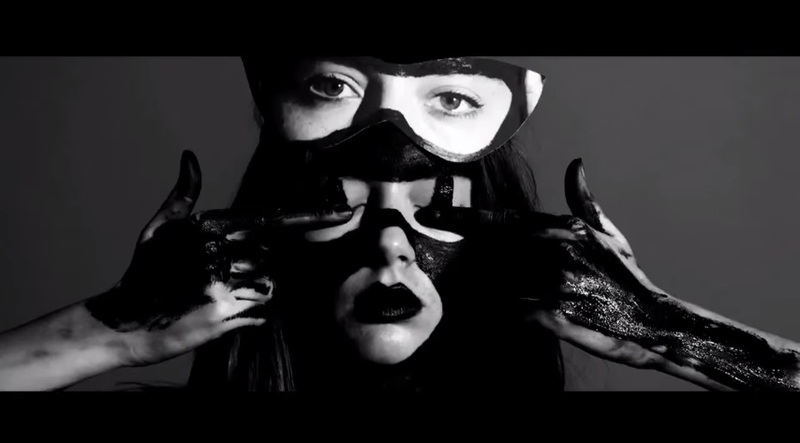 This androgynous concept plays out in the esoteric archetype of the High Priestess found in the Tarot. Indeed, the palm tree is depicted in this card and here demonstrates the intent of the Priestess to amalgamate the realms of seen and unseen - mixing them into a whole vision with a goal to dispense for the betterment of humanity. To Assyrians and Egyptians the palm is considered a tree of life. It was sacred to Ishtar and Ashtarte as well as to Nut and Hathor. These deities utilized the palm tree nectars to keep the dead in a semi-animated state while they awaited their fate in the Underworld. Sometimes the fruit of the palm would keep these souls in this state of undead forever. The date palm is also associated with the sun god Ra, as a resurrection figurehead. Indeed, Christians adapted the palms as a symbol of resurrection (victory over death through the union with Christ). Palm fronds were lain on the path walked by Christ as he entered Jerusalem. Palms were also strewn out as a red carpet welcoming returning Roman warriors from battle. They are also laid out to welcome returning pilgrims to the Holy Land. In these examples, the palm tree symbolism conjures elements of attainment, welcoming, and all the wonderful qualities we associate with the soul's return to its Source. As dream symbols, palm trees symbolize our ability to rise above conflict and spread our light brilliantly - letting it shine over the din of petty concerns - rising above disillusionment like the sun itself. Palms in dreams may also be a message for us to resurrect aspects of ourselves. In resurrecting these parts, we become a more whole entity. After some research my understanding is that the planes of existence are actually states of the eternal or immortal soul and before man reaches Paradise he has to pass through hell. From the base of the tree the words "Soul, Will, Spirit" are inscribed up the trunk. "Soul" is written in black "Will, Spirit" in white. Presumably the Soul starts off in a negative or void state and with the application of good "Will, Spirit" moves up light path to Paradise. A secondary branch has the words "Will" written in black I again presume if the "Will" is applied negatively or weakley the soul moves up through the dark path to Fire World. The great western mystic Jacob Boehme spoke of the tree of the soul which grows up from the heart. It bears the fruit of immortality and destroys the world tree of illusion. The poster is in actuality an illustration plate by Dionysius Andreas Freher an alchemist, writer and student of the visionary (literally) German theologist and mystic Jakob Böhme or Jacob Boehme entitled the The Tree of the Soul and originates from the William Law's English edition of Boehme's 4 volume series of books called The works of Jakob Behmen, the Teutonic theosopher. JACOB BOEHME (1575-1624) was the son of peasant farmers, a shoemaker by trade, and had only a rudimentary education. One morning, watching the sunlight play on a pewter bowl, he experienced an extraordinary spiritual illumination, and started writing books. Amazing books. Scholars at the great German Universities were astounded that an unlearned craftsman could produce works like The Three Principles of the Divine Essence and The Threefold Life of Man. Maverick Boehme drew from Hebrew, Kabbalistic, Christian, Neoplatonist, Latin and German alchemical texts as well as his own mystical experiences. His works were hugely influential in many areas of thought and he counted many leading thinkers as his students including Sir Isaac Newton, such is his influence that he has inspired creatives as varied as William Blake, William Turner, C. S. Lewis, Cormac McCarthy, Elizabeth Gilbert. The chief concern of Böhme's writing was the nature of sin, evil and redemption. Consistent with Lutheran theology, Böhme preached that humanity had fallen from a state of divine grace to a state of sin and suffering, that the forces of evil included fallen angels who had rebelled against God, and that God's goal was to restore the world to a state of grace. The fall of man has now been traced to its lowest point. He is caught in the Satanic wheels of the Angst, deluded by single vision and the darkness of Vernunft [reason], and lost in the clouds and smoke of the material world. However, the setting of the limits has given hope; fragmentation and despair can endure only for a time, and the divine body continually seeks to reclaim that which has been lost. Now therefore, the ascent to the Divine Vision can begin, initially through a consideration of the fires of Generation and the redemptive work of Los, leading into the moment of the lightning-flash. It will be useful to look first at the Freher diagram entitled 'The Tree of the Soul' (Fig. 4), some copies of which were in colour, and which appeared in volume one of some copies of the 'Law edition'. It shows four circles, each of which intersects the one above it. They are labelled, in descending order, 'Light of Majesty', 'Paradise', 'Fire World' and 'Dark World'. The material world is represented as a smaller circle at the base of the diagram, and appears to be completely encircled by the dark world, thus giving the impression of being the lowest form of manifestation. This may well have strengthened Blake's identification of Ulro with the dark world, as John Beer has suggested. Beer also conjectures that this diagram may have given Blake a framework in which to develop his ideas of the four states of being, or levels of vision. It is noticeable that Freher separates the fire world from the dark world, just as in Blake, the fires of Generation represent a higher state than Ulro. It is also of interest that at the base of the fire world circle, and behind the tree which passes through it, is what appears to be a rising sun, shedding forth beams of light. It recalls a number of Blake's designs where a prophetic figure is shown with the sun of the Divine Imagination rising behind him. In Boehme, it is the fourth property, fire, becoming active on the fourth day of creation, which produces the sun of the outward world (Mysterium Magnum Ch. 13). William Law's edition of Boehme's writings, published in the eighteenth century, includes several designs, adapted from those in the German edition, which represent schematically some of Boehme's most important ideas. One of them shows how the eternal soul, translated from its original state, splits into three separate elements: light, fire and darkness." These states, it will be seen, correspond to the Paradise, Hell and ironic 'Heaven of Reason' in Blake's reading of Milton. In another design (fig. i)3' this pattern is worked out more fully. This design, which is entitled 'The Tree of the Soul', shows four states, partly co-ordinated by the structure of a tree which passes through the first three of them. The tree has its roots in a representation of our solar system which is entitled `Dark World'. Its trunk passes through the flames of a state which is entitled 'Hell', while its branches spread out in a still higher state which is entitled 'Paradise'. Over and above the tree as a whole there appears a fourth circle entitled 'Light of Majesty', which contains symbols representing the Deity. It is evident that this design expresses more fully the idea shown in the first. If the unfallen soul enjoys the Light of Majesty, the fallen soul exists in descending states, of light, of heat and of darkness (Paradise, Hell and Dark World), each diminished by its separation from the others. The idea that there exist various states of the soul is of course common in Christian theology, but Boehme differs from the usual tradition at two points. Firstly, he places the 'physical' universe not, as in medieval theology, between Heaven and Hell, but beneath both of them. Secondly, he makes a separ-ation between Heaven and Paradise which suggests that Para-dise is itself an inferior state, not to be equated with Heaven. The latter idea falls in with Milton's cosmology, but not with those orthodox conceptions that virtually identify the two states. The entire 1 John 2:16 minute trailer is rife with the Malick-isms or the symbolism, visuals, tropes and themes that we have come to know him for and sometimes serve as inspiration for other filmmakers. 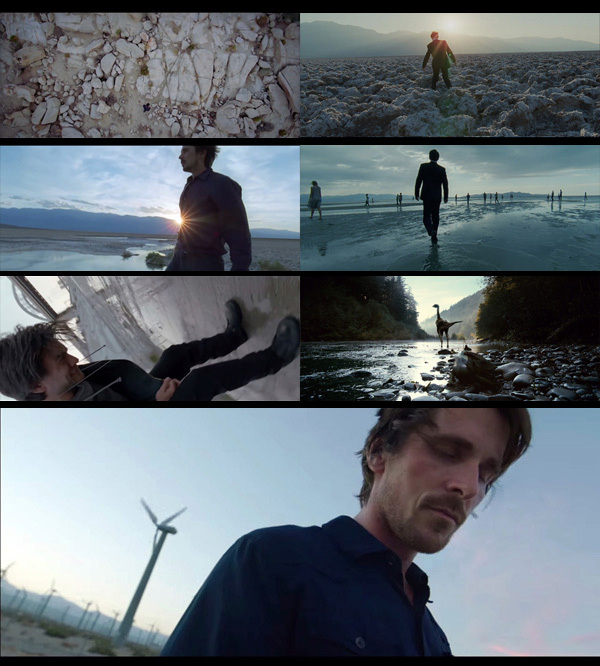 But with the four of the five shots from the first ten seconds of the Knight of Cups trailer Malick seems to reverse that trend as he draws on other filmmakers iconic visuals to convey and reveal a pattern central to the theme of Knight of Cups and possibly a larger message dressed up in his tale of a Hollywood writer living the dream. The opening shot of the trailer is telling, not only is it a great transitory Establishing Shot accompanied by hallucinatory sound of a song called Let Tomorrow Burn from Boomerang! but it tells us that, like the young prince in the story from Rick's father someone is going on a journey (path). Presumably screenwriter Rick (Christian Bale) who we see in an open top car flying through the tunnel. 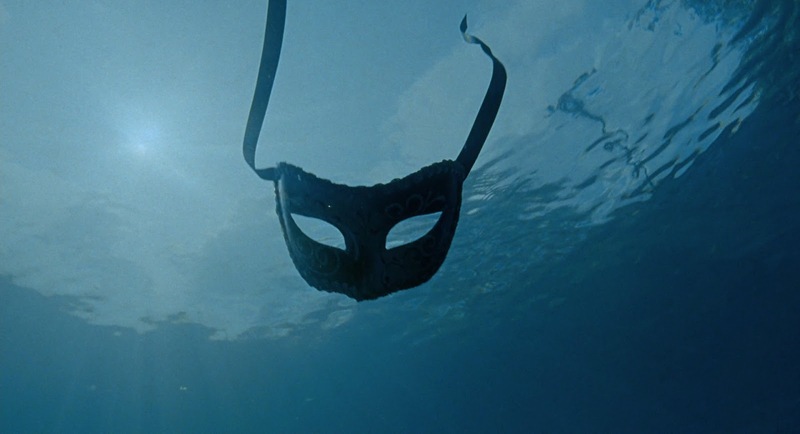 Kind of synchronistic if you have read my breakdown of Christopher Nolan's The Dark Knight Rises trailer featuring Christian Bale's Bruce Wayne as well as other characters amid various metaphoric or proverbial tunnels or paths. 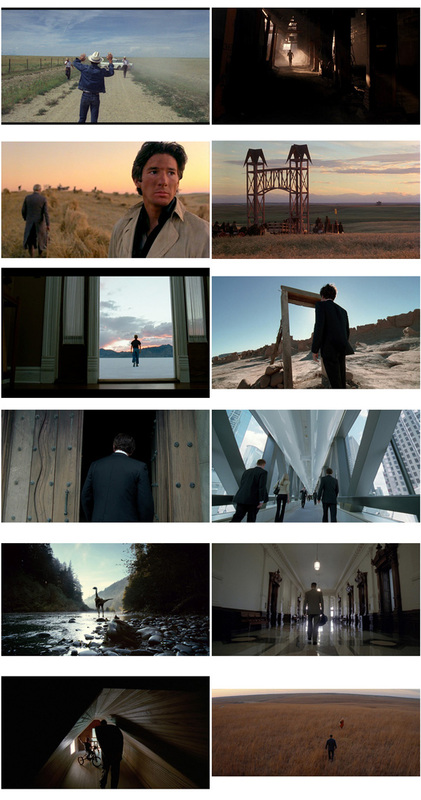 And paths, gates and doorways are certainly a central theme to Malick's existing visual language. 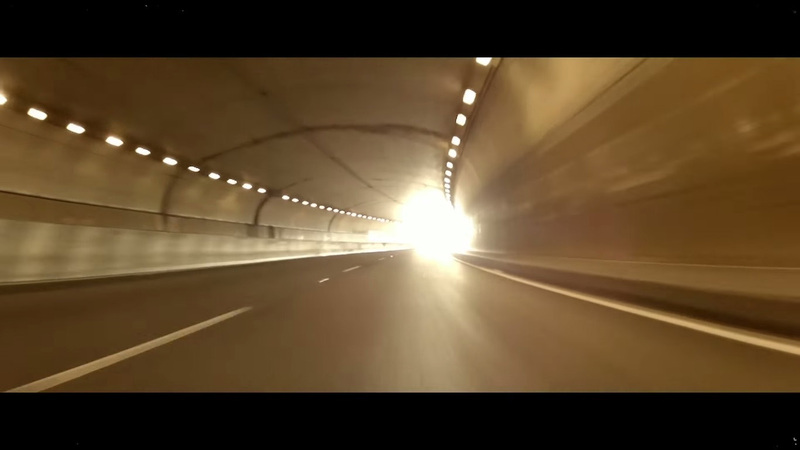 But that was not the first thing that struck me, although it does become pertinent later on when we see the tunnel again in the penultimate shot of the trailer - echoing the visuals of Christopher Nolan's perceived journey for Bruce Wayne. 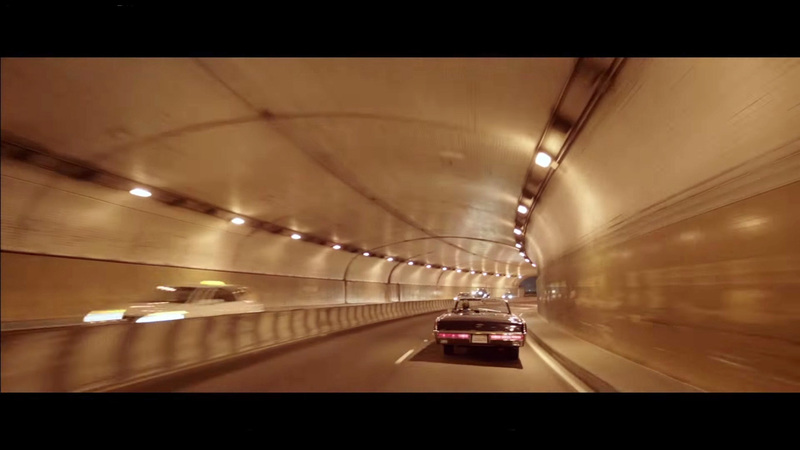 The first thing that struck me is the similarity between Malick's tunnel shot and the scene of Harrison Ford's Rick Deckard driving through the 2nd Street Tunnel in Ridley Scott's Blade Runner. A story about identity as told through a man lost in a giant technological and architectural future too big for him. At the core of the tale he (and mankind) are in a struggle with what is real and what is not. "Rick Deckard is a bounty hunter with the San Francisco Police Department, who goes after "andys" as they are called. He begins the story as a selfish, self-involved cop who sees no value in android life. His experiences within the novel cause him to develop empathy towards androids and all living things." Juxtaposed against a similar shot from Ben Affleck's Neil and Olga Kurylenko's Marina road trip to Mont Saint-Michel in Malick's To the Wonder which could be seen as a celebration of union under a great sky. We see a dramatically different world / state of mind from Rick in Knight of Cups. For wide is the gate and broad is the road that leads to destruction, and many enter through it. But small is the gate and narrow the road that leads to life, and only a few find it." This shot can surely not be a coincidence as it echoes arguably the most memorable shot of a ceiling fan ever committed to film - symbolically showing us the unquenchable heat (fire) and turmoil a man is undergoing. Even the music is a nod to Walter Murch's ghostly fade in fade outs of the sweeping Apocalypse Now helicopter blades. Apocalypse Now - Ghost Helicopter Flyover from Unidentified Sound Object on Vimeo. It was something that came up long before the film ever got made — back when George [Lucas] was going to direct it. There was a lot of discussion between George and me, and between us and John Milius, who was writing the script, that what made Vietnam different and unique was that it was the helicopter war. Helicopters occupied the same place in this war that the cavalry used to. The last time the cavalry was used was in World War I, which demonstrated that it didn’t work anymore. In World War II there was no cavalry. Then we got the cavalry back, with helicopters, to a certain extent in the Korean War, and really got it back in the Vietnam War. The helicopters were the horses of the sky — the whole “Valkyrie” idea came out of that discussion. And, of course, we thought of the four horsemen of the Apocalypse. The cavalry-horsemen-Apocalypse thing was bred in the bones of the project. 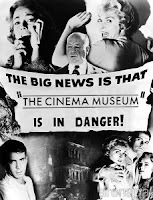 The beginning of the film was a trigger for the psychic dimension of the helicopters. Later on, when you get into the attack on the village [when Robert Duvall's ramrod Col. Kilgore tries to clear a VC-held coastal town], it’s dramatic and it’s fantastic, but it is fairly much “what you see is what you hear.” Whereas at the beginning of the film it’s some drunken reverie of this displaced person, Willard, who is trying to bring himself back into focus. There are fragmentary images of helicopters, then he comes more and more back into his abysmal reality — this stinky hotel room in Saigon — and we get the fan. 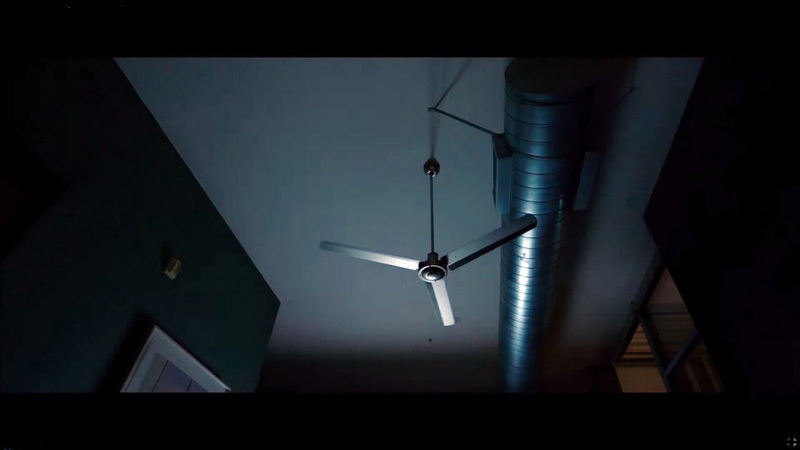 We share Rick's view of a ceiling fan which is the same point of view as that of Martin Sheen's disillusioned Benjamin L. Willard in Francis Ford Coppola's Apocalypse Now and if there is ever a man undergoing crises Ben Willard is that man. "In 1969, during the Vietnam War, U.S. Army Captain and special operations veteran Benjamin L. Willard (Martin Sheen) is in a cheap Saigon hotel awaiting assignment, drinking heavily, and ruminating on his life and failed marriage." Martin Sheen played Kit in Malick's first and seminal film Badlands - 6 years before he was Willard in Apocalypse Now and Sheen's on and off screen crises at the time of filming Apocalypse Now may have personal significance for Malick. We could go a little further with this and read into it that the fan signifies a force of nature and an omen of change as the winds of change are arising. There are many more symbolic, religious and mystic meanings to wind as it is equated to the element Air and a symbol of the Holy Spirit. A wind coming from above could signify the spirit's breathe on Rick, reminding us that nature and supernature are everywhere. Excerpt from the Holman Bible Dictionary on Wind. The natural force which represents in its extended meaning the breath of life in human beings and the creative, infilling power of God and His Spirit. Early Concepts Two words in the Bible — the Hebrew ruah and the Greek pneuma — bear the basic meaning of wind but are often translated as spirit. Some uderstanding of the development of the latter word clarifies this transfer in meaning and enriches the concept. Pneuma originally represented an elemental, vital, dynamic wind or breath. It was an effective power, but it belonged wholly to the realm of nature. This force denoted any type of wind and ranged from a soft breeze to a raging storm or fatal vapor. It was the wind in persons and animals as the breath they inhaled and exhaled. It was life, since breath was the sign of life; and it was soul, since the animating force left when breathing ceased. Metaphorically speaking, pneuma could be extended to mean a kind of breath that blew from the invisible realms; thus, it could designate spirit, a sign of the influence of the gods upon persons, and the source of a relationship between humankind and the divine. In primitive mythology, this cosmic wind possessed a life-creating power, and a god could beget a son by his breath. The divine breath also inspired poets and granted ecstatic speech to prophets. ... Theophanies, or manifestations of God, were often associated with the wind. God answered Job out of the whirlwind (Job 38:1 ), and the four living creatures appeared to Ezekiel in a strong wind from the north (Job 1:4 ). ...Wind was a symbol of transience (Psalm 78:39 ), fruitless striving (Ecclesiastes 1:14 NRSV), and desperateness ( Job 6:26 ). Wade M. Hughes, Sr a man of the cloth has derived hidden meaning from the directions the winds blow in the new testament. There are many lessons hidden in the Bible in symbolism. The East winds are symbolic of chastening.The North winds tell a story of cleansing. The South wind declares renewal. The west winds suggest blessings. The underlying theme of a man in crisis is a little more oblique. 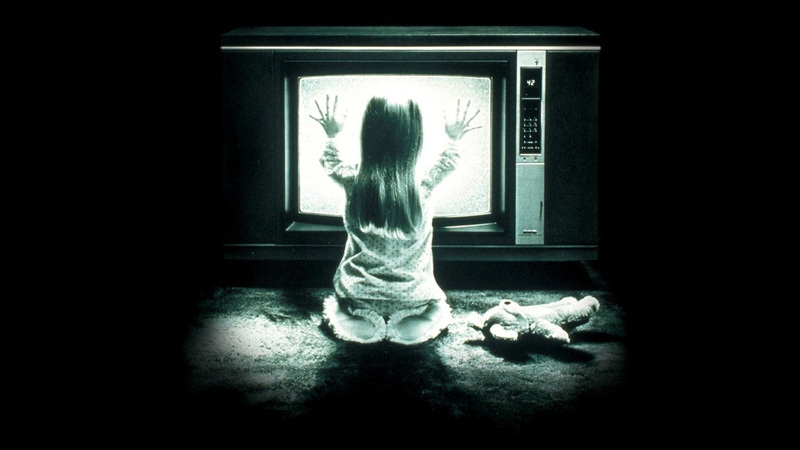 But there is an unmistakable visual reference to Tobe Hooper's back to the camera shot of Heather O'Rourke's Carol Anne Freeling under the influence or attack by something that comes through her TV in Poltergeist. Rick is both the creator of fantasy and beholding to it's illusion. 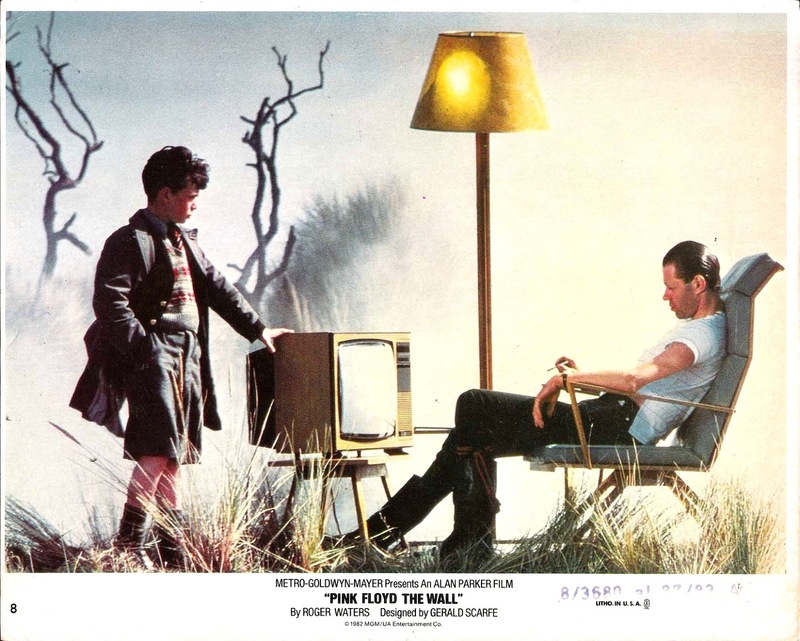 But there is a secondary iconic visual that echoes both the TV/media as a diversion message as well as the man in crisis theme - which comes courtesy of Bob Geldof's Pink in Alan Parker's Pink Floyd The Wall from the Pink Floyd album of the same name. "Pink, the protagonist, is a rock star, one of several reasons behind his apparent depressive and detached emotional state. 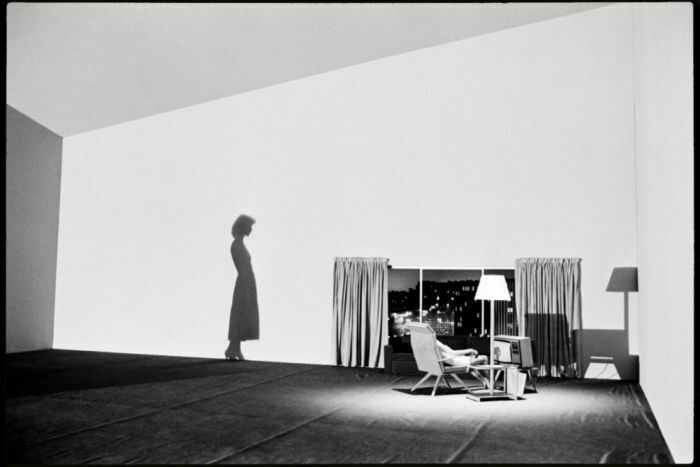 He is first seen in an unkempt hotel room, motionless and expressionless, watching television." 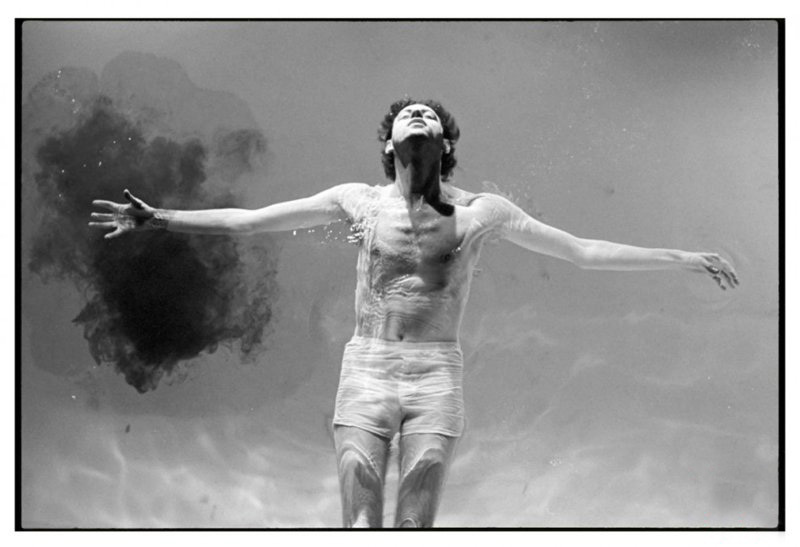 Later on the trailer the films synchronise again when we see Christian Bale's man in crisis Rick - under water and eerily resembling Bob Geldof's man in crisis Pink under water. Incidentally Bob Geldof a non swimmer, is being kept afloat by a special effects body mould used to make Helen Slater fly in Supergirl. The above was confirmed to me by Bob Geldof KBE himself in conversation on the morning of 4 October 2018. He explained that he couldn't swim so it was needed. Water. Don't even get me started on Malick's glorious use of the elements which he imbues in all his works. 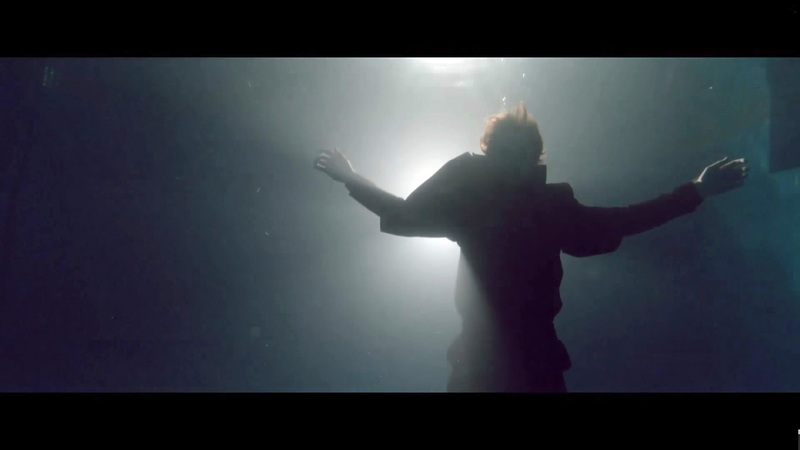 In the trailer for Knight of Cups alone there are something like 26 shots in or around water in its various forms. JACK FISK: Terry as a director is always open and aware of the stuff that's around him. Sometimes we'll be shooting a film and an interesting bird will fly by and he'll start crawling on a tree and directing the cameras toward that bird. Or we cast dogs for this film and then he would let the dogs play outside and shoot a lot of footage of them interacting with the kids, he'd catch a lot of that. 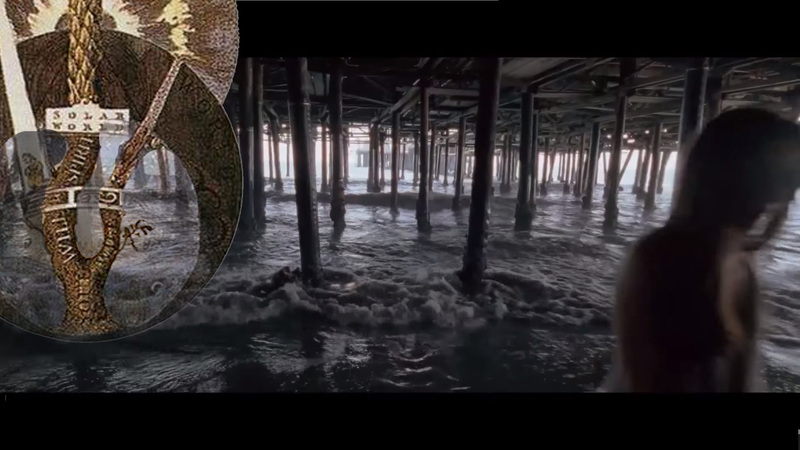 There are also 6 shots featuring which could be false water presumably symbolic of the world Rick lives in, two portentous shots: a disturbing water under darkness shot from under Santa Monica pier (there is a body hidden in the surf) with design similarities to the dark side of the Tree of the Souls. As well as a shot of Rick and Wes Bentley's Barry, visibly shaken in the dry Los Angeles River that could be echoing the patent Malick surreal man in crises wandering lost in “purgatory” shot which we do get a proper look later on in the trailer. The fall of man has now been traced to its lowest point. He is caught in the Satanic wheels of the Angst, deluded by single vision and the darkness of Vernunft (reason), and lost in the clouds and smoke of the material world. 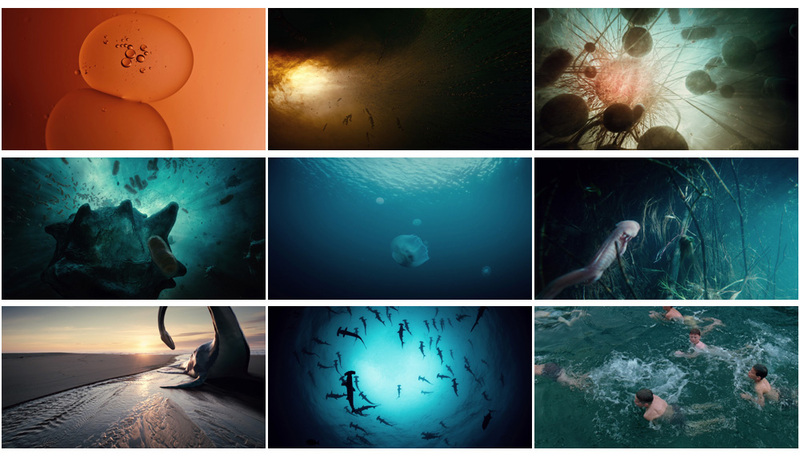 The water shots seem to symbolise different things but; cleansing, purification, union or unity (the source of all life), womb comfort, death, freedom, hope, connection with nature and fear of the unknown are all prevalent. There is undoubtedly religious significance but I couldn't reliably discuss what they mean beyond man and spirituality becoming closer and connecting with supernature. Pvt. Jack Bell: [voice over] We. We together. One being. Flow together like water. Till I can't tell you from me. I drink you. Now. Now. With regards to union it looks like Cate Blanchett's Nancy and Natalie Portman's Elizabeth get real natural sea water, even Isabel Lucas' Isabel and Teresa Palmer's Karen get a beach look in whilst Imogen Poots' Della seems to only gets artificial water. Della (Imogen Poots): You don't want love, you want a love experience. Rick (Christian Bale): I was free when I was young. Free [Tree] of life. Which comes full circle when a disillusioned Rick sees a young boy enamoured in an aquarium. 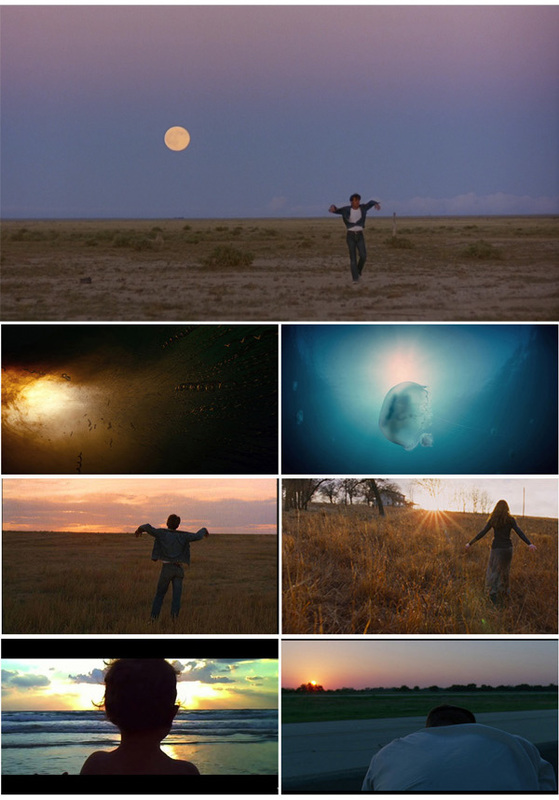 Of all the recurring signatures of Malick, his use of fire and water might be the most telling, in part because there’s a significant shift between early Malick (Badlands & Days of Heaven) and late Malick (The Thin Red Line, The New World, The Tree of Life & To the Wonder). Early Malick favors fire. Late Malick favors water. In his most recent film, Malick forgoes fire altogether for the first time in his career. Water reigns. The four elements are actually only qualities of the true one element, which is hidden behind the external four elements. "That which we call at present four elements are in fact not elements, but merely qualities of the one true element." "Fire, air, water, and earth have issued from the centre of nature, and consisted in the ignition of one substance. Since that ignition took place they appear in four forms, which are called 'elements;' but they are still interiorly, and in reality there exists, only one. There are not four elements in heaven, but only one; but all four states are contained therein." Much of the elemental symbolism I believe conveys Malick's faith in a higher guiding hand in our world and man at odds or lost from this nature or super nature seems to result in modern man in crises. Elemental imagery infuses Malick's work: earth, air, fire, water. The meanings of these images are too various to lend themselves to easy classification, but some associations recur. Earth signifies communion the concord of the workers at the harvest in Days of Heaven, or Linda's fantasy of her future in the same film: "I could be a mud doctor . . . Talk to the trees. In dreams they'd talk back to me." Air signifies transcendence, the "aerial aspirations" that the characters incline toward, and that Malick's wide shots of open sky yearn to promise. Fire means redemption, of sorts. Principle of a Yeatsian "terrible beauty," the fire that consumes Holly's house in Badlands or the fire that follows upon the plague of locusts in Days of Heaven brings a catharsis that promises a new liberty, a release (fig. 13). But the promise is short-lived: redemption inflicts evasion, transcendence entails failure, communion implies catachresis. For many artists, a turn to elemental imagery marks a return to fundamental things, a stripping away of inessentials. For Malick, the essential is as much part of a complex as any other idea. Stripping away only reveals further notions for contemplation, and Malick's images, in one of their dimensions, are nodes of thought. Water may be the most suggestive element in this pattern, for Malick associates it repeatedly with death, especially with the martyred deaths of vulnerable or helpless parties. The shooting of Holly's dog in Badlands, the killing of Bill in Days of Heaven, and the death of Witt in The Thin Red Line describe an arc of related imagery across the three films... For an instant, the film wants to fantasize his death as a reversion to primordial happiness, but the next shot cuts off this optimism—it shows Witt's grave. Fire, air, water, earth: harbingers of life, all resolve in death. The back to the camera one point perspective - down a path is as at home in Malick's visual lexicon as anyone else's and it does tie in with the very first and penultimate shot of the trailer of Rick moving through a tunnel. In the shot we see Rick walking through a studio backlot reinforcing the lost in an illusion theme again. "For wide is the gate and broad is the road that leads to destruction, and many enter through it. But small is the gate and narrow the road that leads to life, and only a few find it." But it is possible that Malick is accessing a shared minds eye and his visuals referencing elements he shares with someone else? And in particular another famous cinematic writer that loses his way in a maze of his mind? "...a writer and recovering alcoholic, takes a job as an off-season caretaker at the isolated Overlook Hotel... 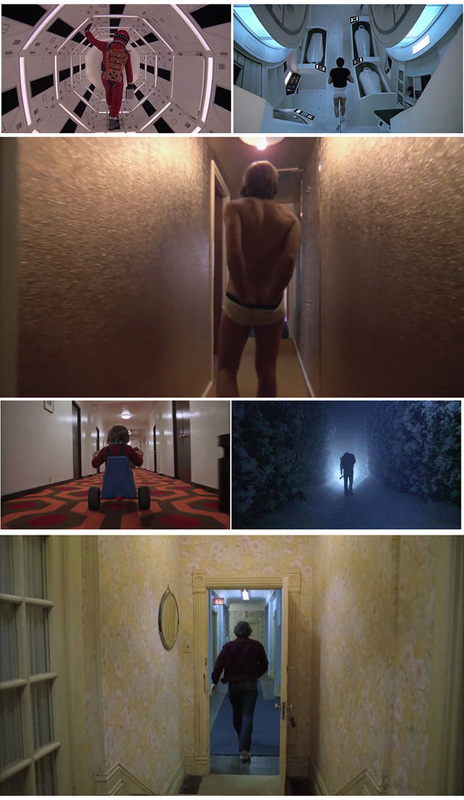 Some time after settling in, the family is trapped in the hotel by a snowstorm, and Jack gradually becomes influenced by a supernatural presence, descends into madness..."
It is not completely outside the bounds of possibility after all Terrence Malick and Stanley Kubrick access a similar visual palette with a penchant for mysterious symbolism tapping into much larger significance than is seen on screen. 23. But the dwelling of the devils is now from the moon to the earth, and in the earth, in the deep caves and holes thereof; especially in wildernesses and desert places, and where the earth is full of stones and bitterness. The Kubrick Eye of Horus imagery above comes from Hollywoodsubliminals.com where you can find a plethora of other images and insight from the Dark Side of the Moon. 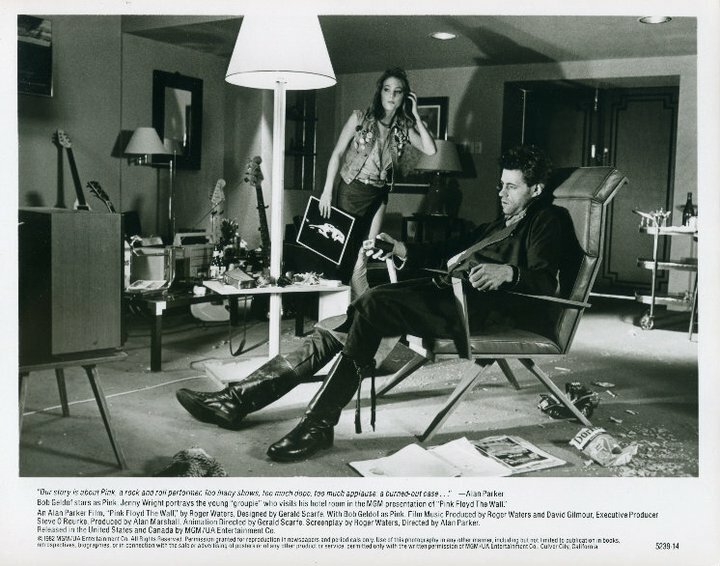 Before we descend into the Hollywood, 80s Interview Magazine, Warhol, MTV, chrome & black leather, Barcelona chairs, La Dolce Vita collage and the first credit popping up. 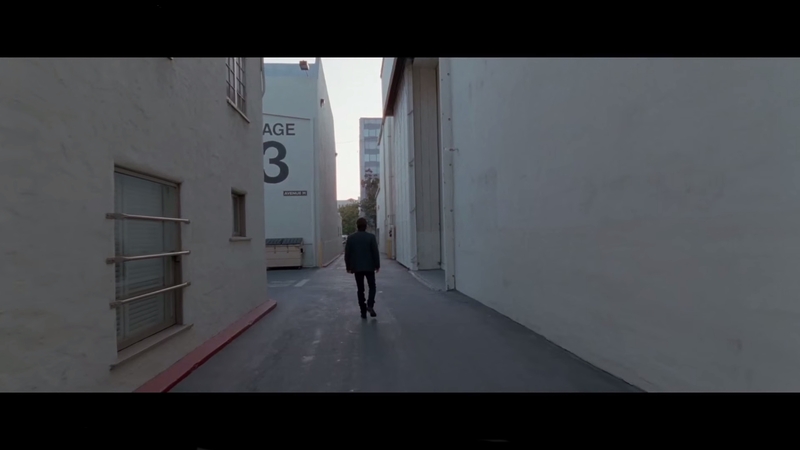 The final shot of my 5 isn't referencing someone else's work but rather a shot that runs through Malick's latest works - a Medium Shot waist up or close-up face shot of a pensive man out of place in the city. One could be forgiven for thinking that Malick is flagging up that modern business seems to be increasingly distancing or diverging from ethical practise as his men in large glass and steel architectural wonders always seem to be in crises but as To the Wonder shows us more salt of the earth and even religious types are struggling with the modern world. It would seem that man out of balance with nature seems to result in or be symptomatic of a loss of spirituality and when needed our wondrous cities offers no comfort or solace. 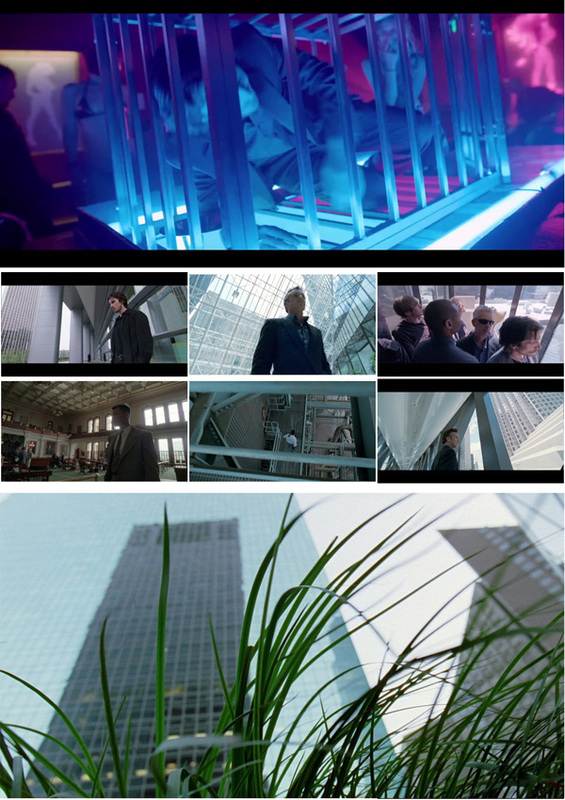 An additional theme that seems to recur in these shots is how our architectural wonders could also be seen as a cage or a trap closing in on our men in losing sight of the bigger picture. Malick creates here the image of a question, an image that is a question, by letting images of men and nature approach a point of convergence and similarity which serves only to adumbrate their separation and mutual isolation at another level. Possibly this has more to do with man out of nature becoming increasingly lost and a companion piece to the purgatory-esque landscapes Malick's characters are seen wandering in. Which we get a proper look at later in the trailer. Rick (Christian Bale): Find a way from darkness to light. There was a poor Soul that had wandered out of Paradise and come into the Kingdom of this World; where the Devil met with it, and said to it, Whither dost thou go, thou Soul that art half blind?